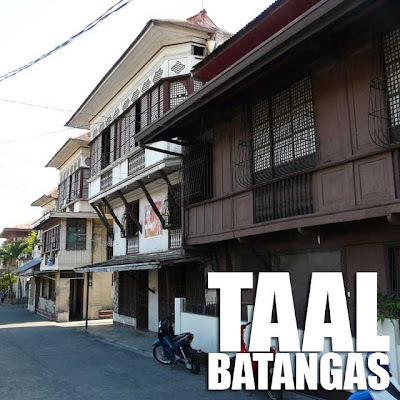 Taal, Batangas is one of the best-preserved Spanish colonial towns of the country. And it's home to a good number of heroes of the Philippine Revolution including the principal seamstress of the Philippine flag, Marcela Mariño Agoncillo. At the heart of Taal is the Taal Basilica, dedicated to St. Martin of Tours and said to be the biggest Catholic church in Asia. In front of it is the Taal Municipal Hall which was built during the Spanish colonial period. Scattered around town are dozens of ancestral homes, old school buildings and other heritage structures. Which is why the town is perfect for a walking tour. 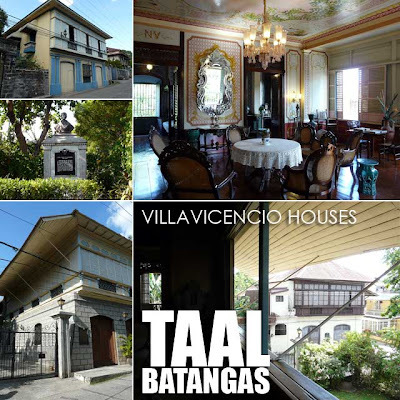 Last Sunday, we got to visit three heritage houses during our walking tour including the Villavicencio House and the adjacent Villavicencio "Wedding Gift" House, as well as the Marcela Agoncillo House which is a National Historical Landmark. 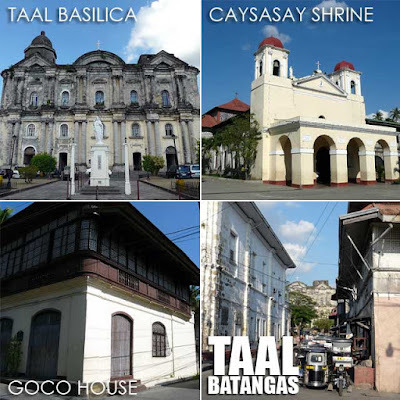 In fact, Taal has at least seven National Historical Landmarks including the Taal Basilica, Taal Municipal Hall, and Escuela Pia. Entrance fees to the houses are Php50 per head which is usually included in the walking tour fee. And take note that many of the houses are only accessible through the these walking tours. From the Villavicencio Houses, you can walk down to the Caysasay Shrine through the centuries-old San Lorenzo Ruiz Steps. 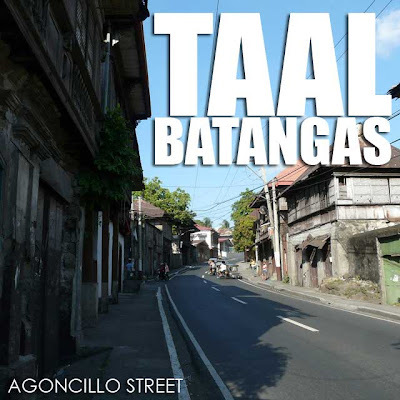 Also in Taal are the homes of Gregorio Agoncillo and Leon Apacible also National Historical Landmarks. And don't forget to pass by the Taal Market to check out the piña (pineapple) fabric and barong embroidery. I always buy my embroidered jusi and piña cloth from there since it's almost half the price than if you buy your barong in Manila. Taal is also home to balisong-making, panutsa (peanut brittle) and produces a really tasty derecado longganisa. Thank you for your Batangas pictures. 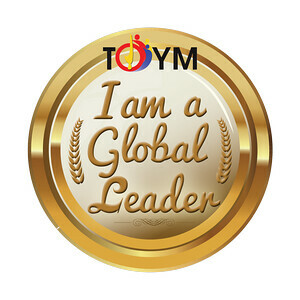 Check out one of our members in Butong, Taal. The Abby's Garden Resort. From April to May 31, 2010 - they have invited product exhibitors and has put up a Shopping Festival for their resort visitors. Also check out the BFAR Office in Butong. They have trainings on Ornamental Fish Production. When I went for the walking tour in 2005, I enjoyed most the lunch buffet at our tour guide's ancestral home. Love the adobo sa dilaw. Also couldn't resist the sinaing na tulingan and the sweet suman at the market. I missed Taal Batangas , I actually grew up from that Town. I also love Tapang Taal, It is not because it is our business but because I am an ofw and I could only taste it during my vacation..
visit Taal w/ my husband during our holiday in the Phil.we stayed Casa Severina. We really enjoyed our nights stay.